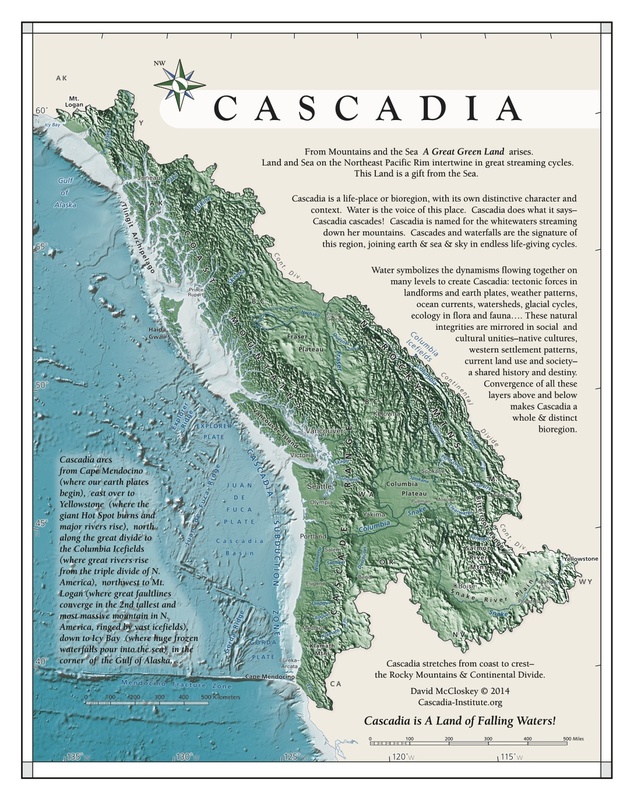 David McCloskey’s map of Cascadia has been chosen to grace the cover of ESRI’s annual Map Book, which contains about 50 of the best new maps from around the world for 2014! David will officially unveil the new map at the Cascadia Poetry Festival in Nanaimo April 30-May 3. He will be giving a keynote address about Cascadia on Friday morning (May 1). Join us if you can! http://cascadiapoetryfestival.org/ Congratulations, David! This entry was posted in Blog and tagged David McCloskey. Bookmark the permalink. on May Day, 2015–consider it a biogeographical invitation to cultural independence!